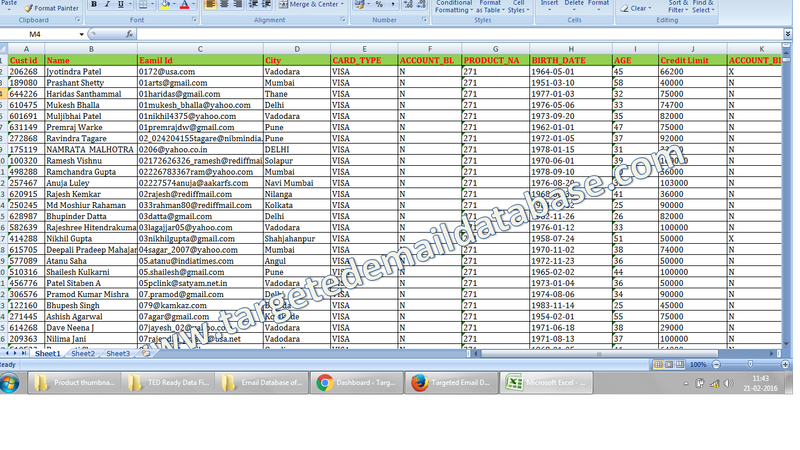 Email Database of Credit Card Holders is an Email Id List of People who has & use Credit Cards. Details: Email Database of Credit Card Holders is an Email Id List of People who has & use Credit Cards. 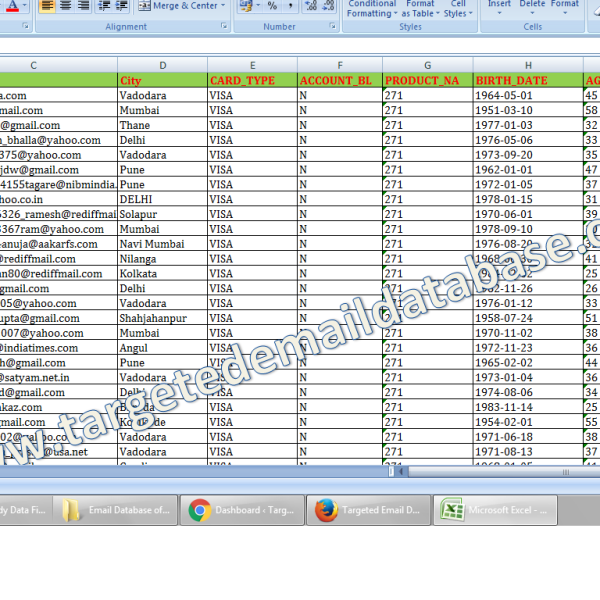 Fields Mentioned: Person Name, Email id, Card Limit, Card Type, Bank Name, Professions, Designation , Income, Address, Location etc (Check Samples for details). Usage: Extremely useful for Selling & Marketing of Products or Services where C.C Transaction is needed or anything where Target Audience is of particular Buying Capacity or Income.